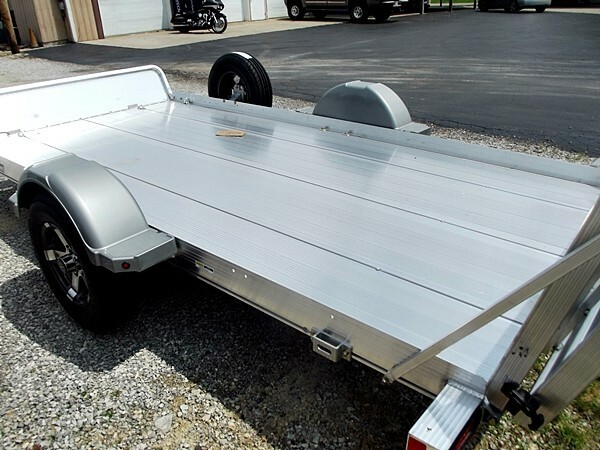 MOST OF THESE MODELS ARE IN STOCK. 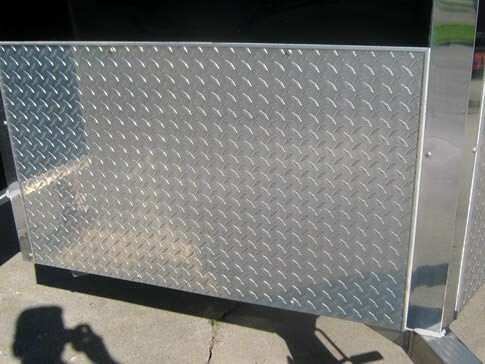 SPECIAL ORDERS ARE DELIVERED IN AS LITTLE AS ONE WEEK, SOMETIMES LESS. 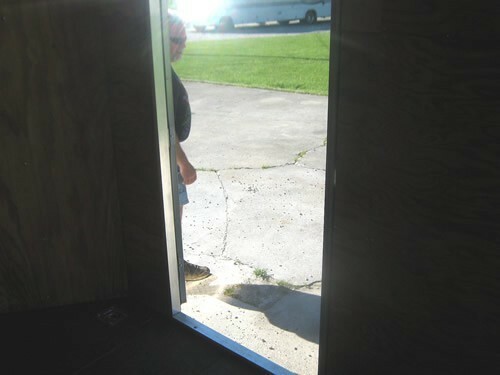 IF YOU WANT TO KNOW MORE STOP BY C&T CYCLES TODAY, EMAIL US AT INFO@CANDTCYCLES.NET, OR CALL US AT 812-752-5546.WE LOOK FORWARD TO SERVING YOU! 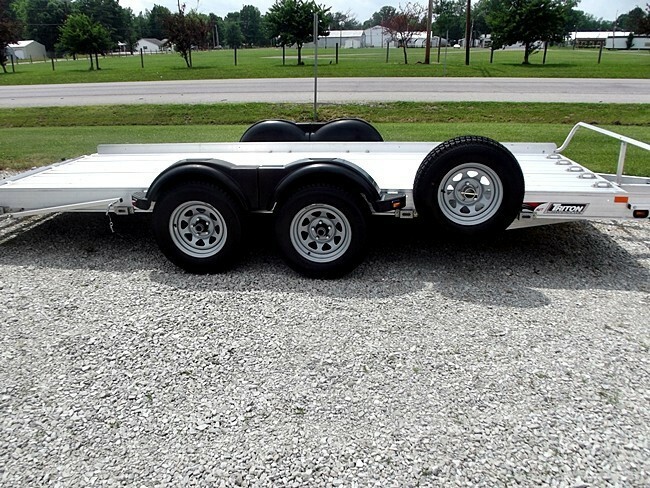 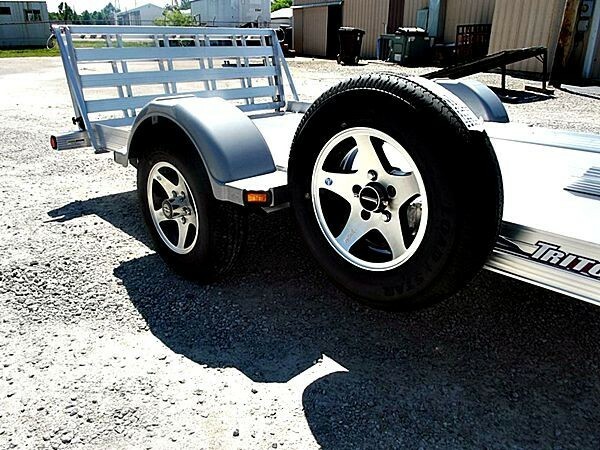 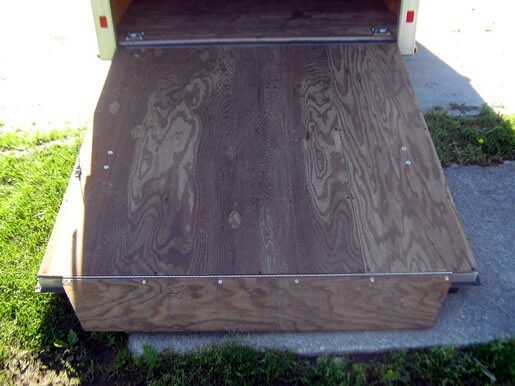 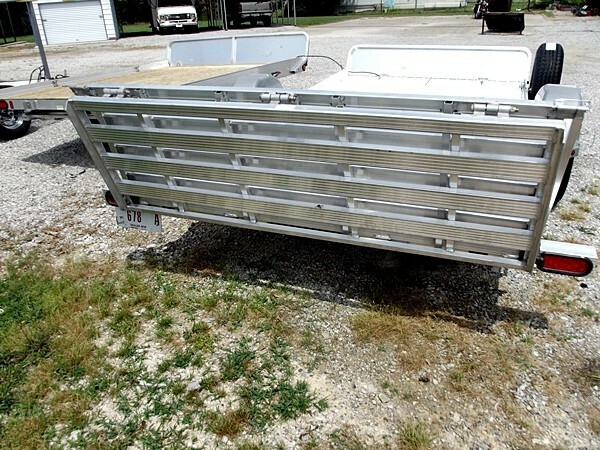 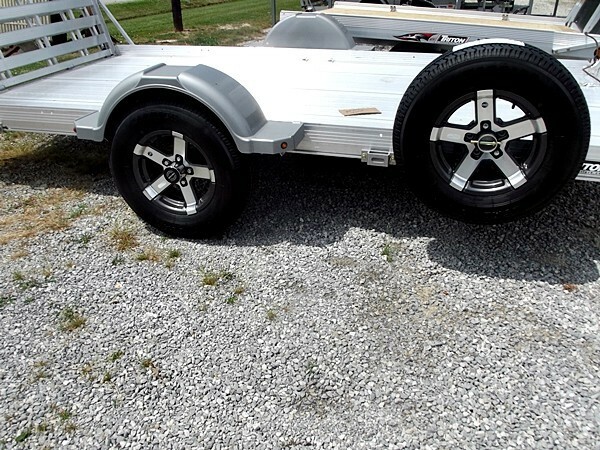 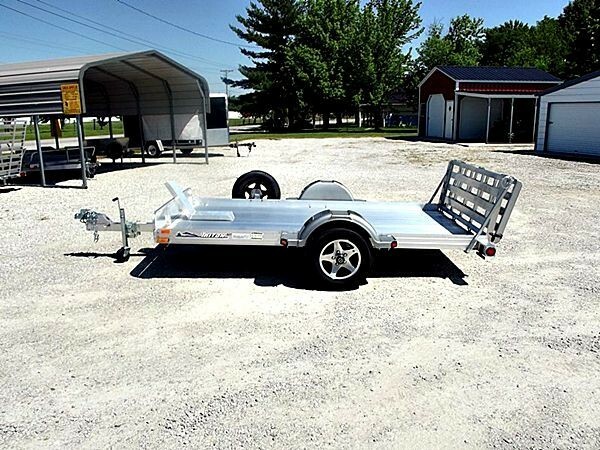 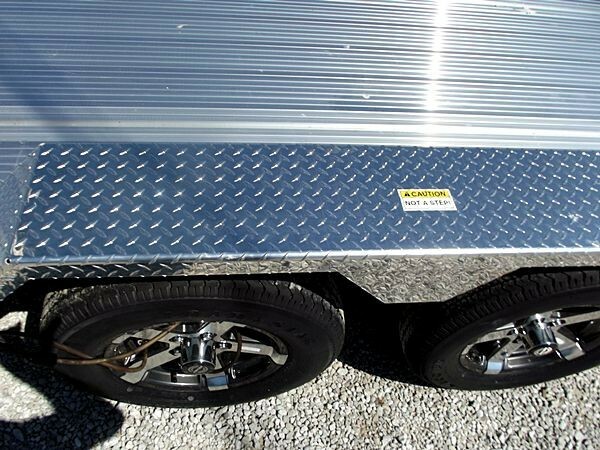 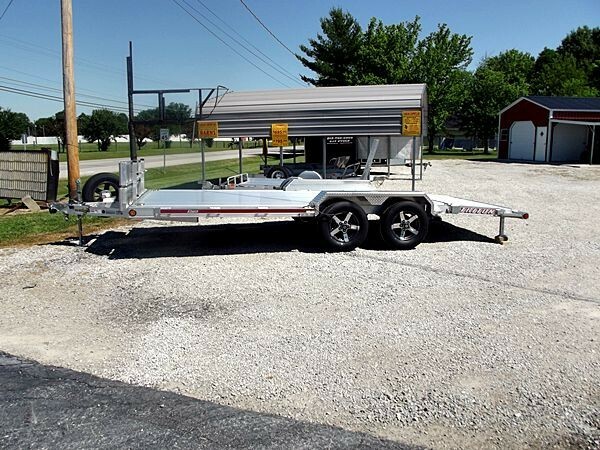 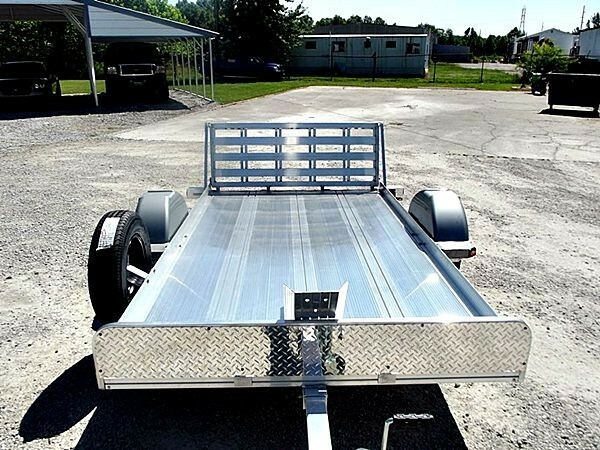 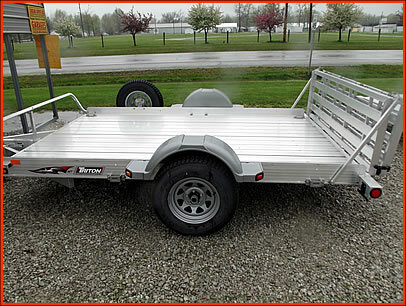 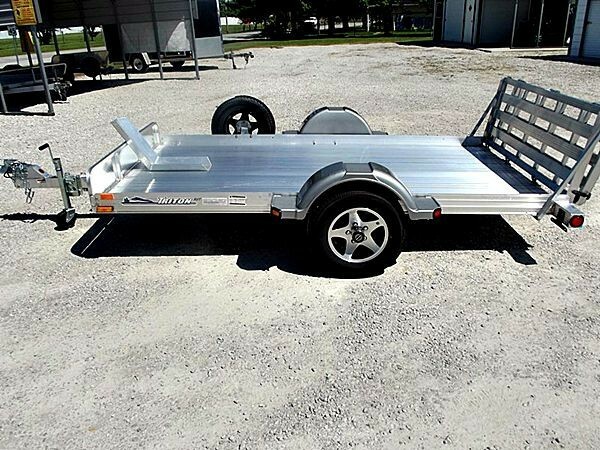 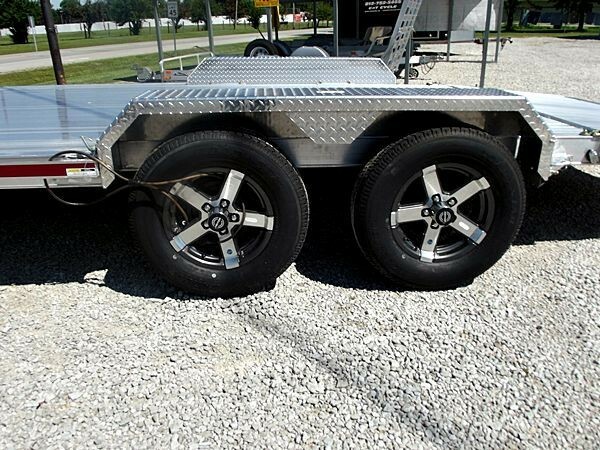 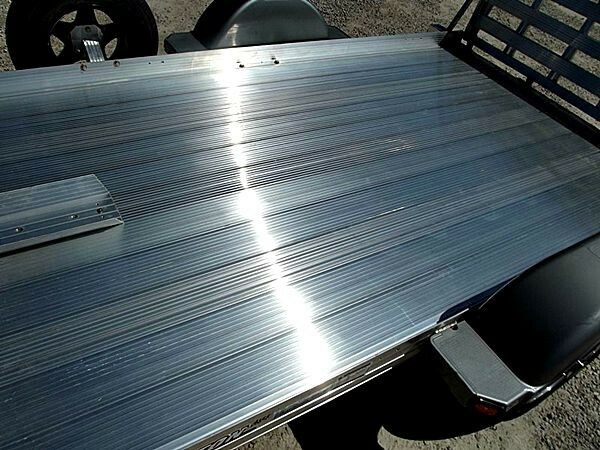 This 82" X 192" utility tandom trailer comes standard with an HD bi-fold ramp and electric brakes (one axle). 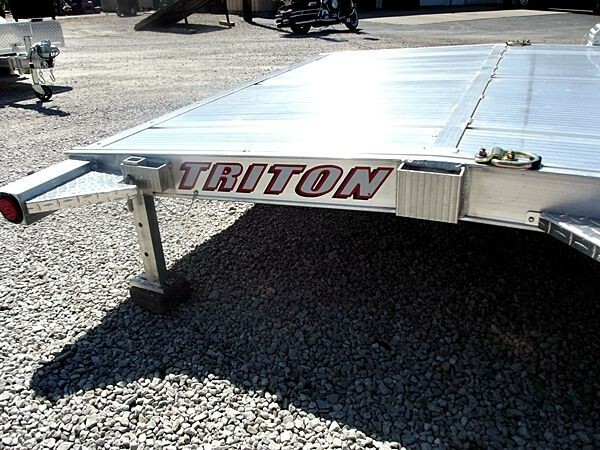 "Triton's AUT1682 has a low deck height, tandem axle, and long heavy duty bi-fold ramp with support legs which makes for a low angled ramp for easy loading the bigger equipment and machines. 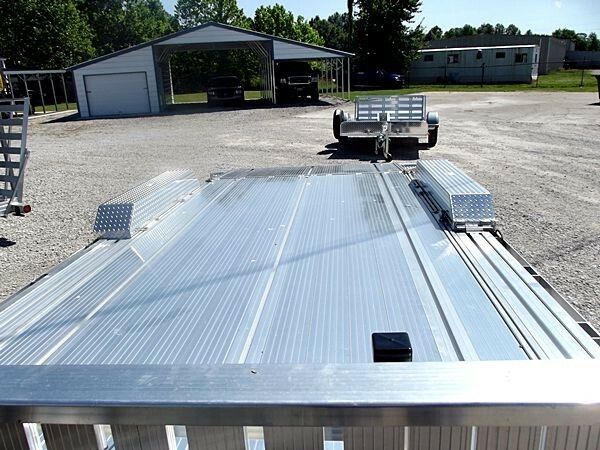 Besides ATV's this utility trailer can handle your bigger UTV's, tractors, and/or other equipment and material you need to move. 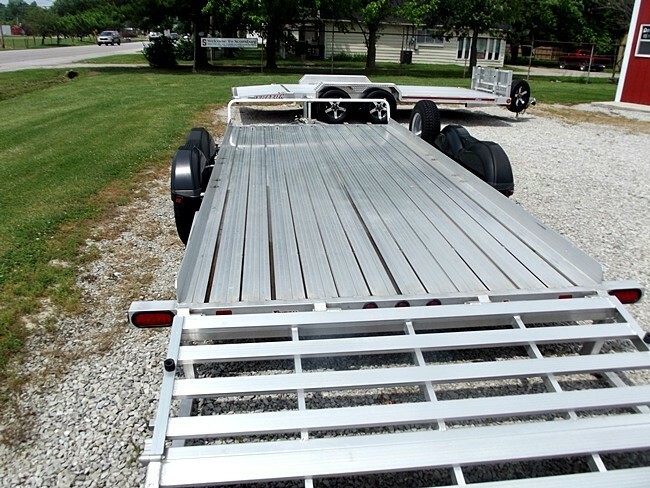 A wide selection of accessories gives the AUT1682 versatile options for hauling a wide variety of loads!" 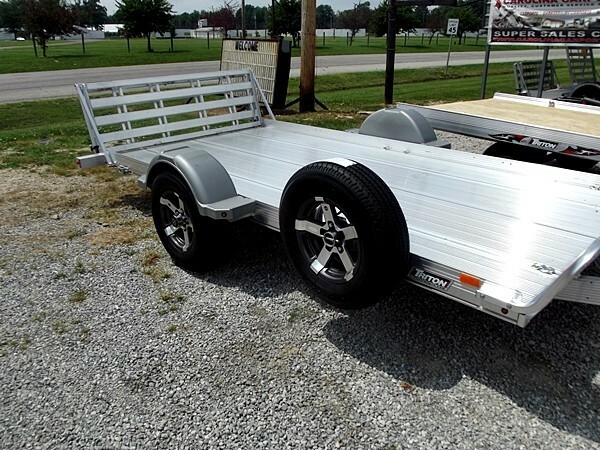 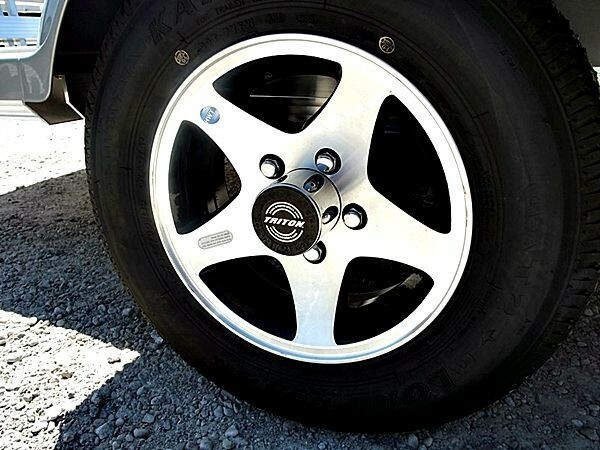 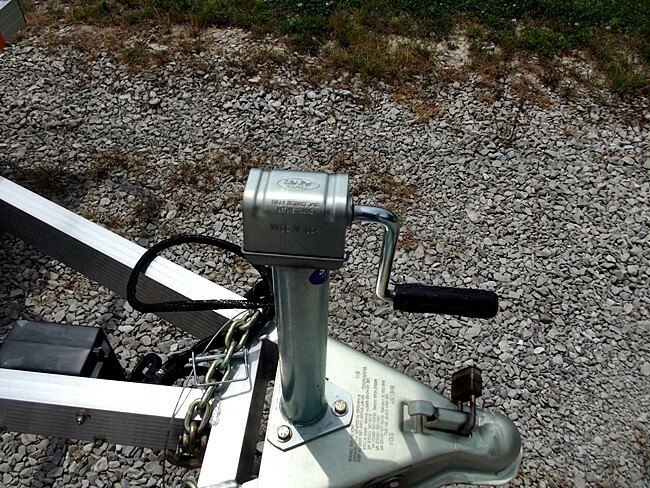 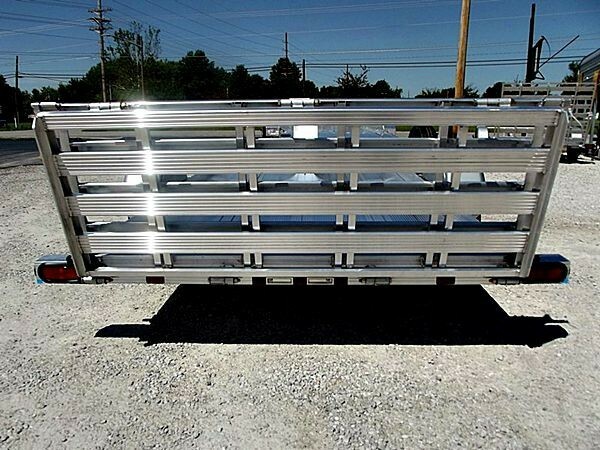 FOR PRICING AND AVAILABLE OPTIONS CALL US AT 812-752-5466 OR STOP BY TODAY! 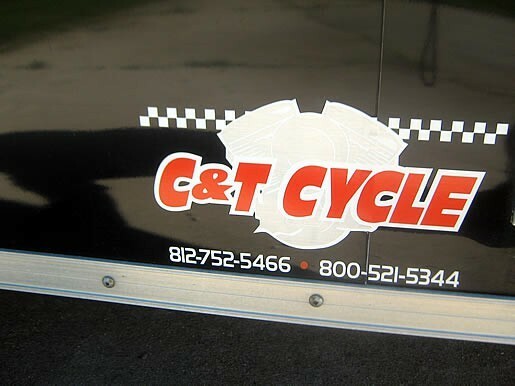 C & T Cycles, go to the "CONTACT US" portion on the homepage of our website to give us your questions or comments. 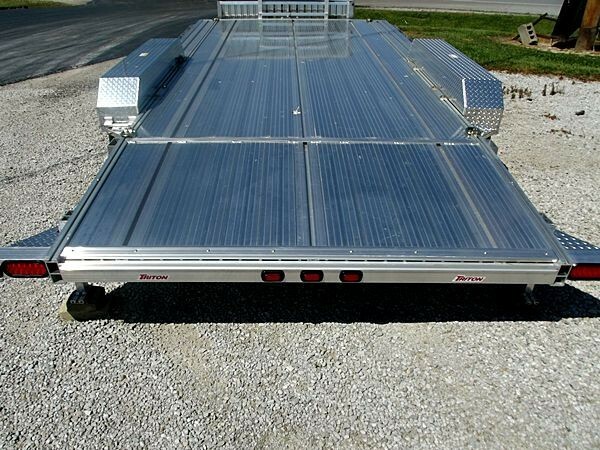 Or give us a call at 812-752-5466. 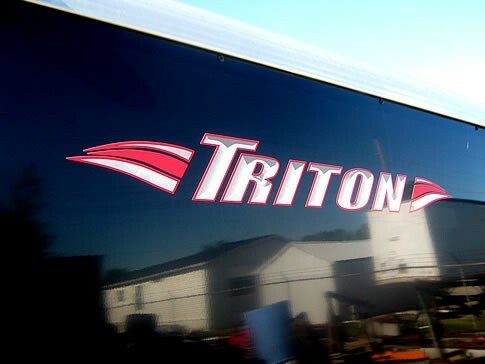 If you don't see the type trailer you are looking for, please click the logo below to be taken to the Triton Aluminum Trailers website. 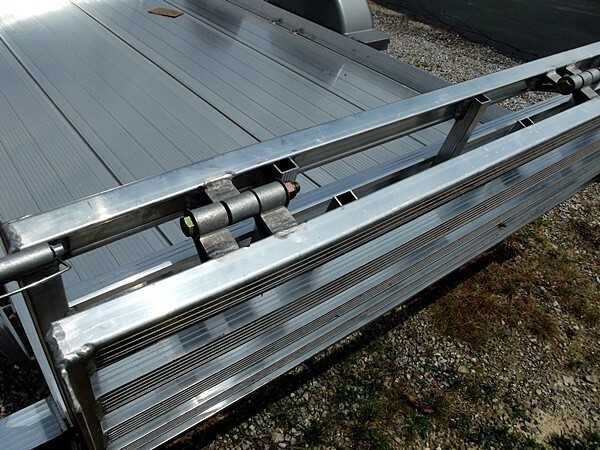 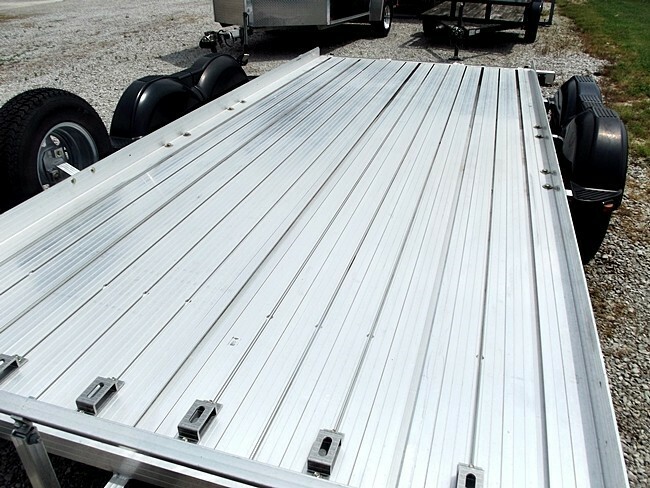 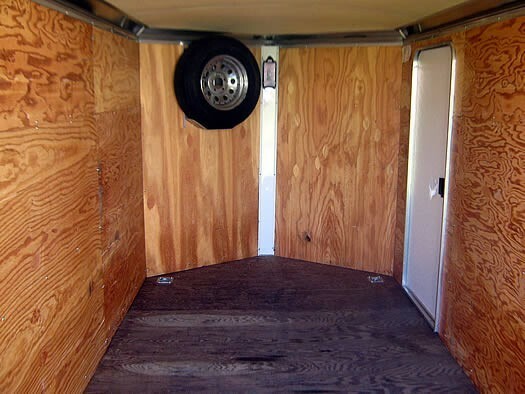 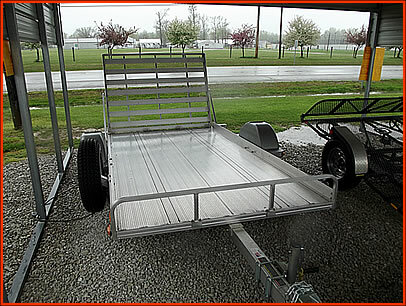 "Triton's AUT1272 trailers have both extruded aluminum frames and decks with a useable deck size of 12' long by 72" wide. 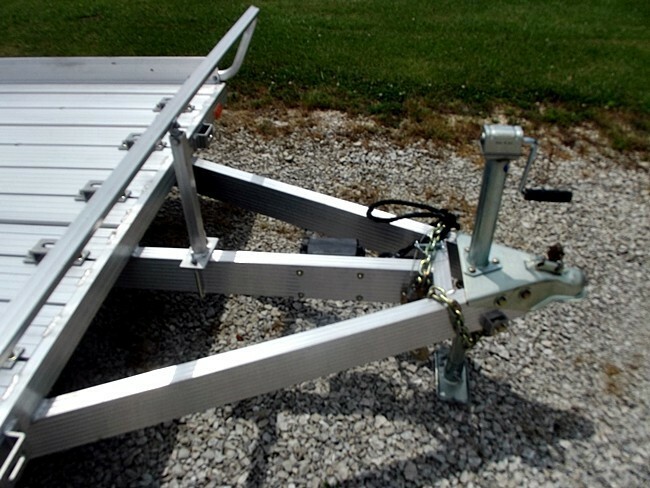 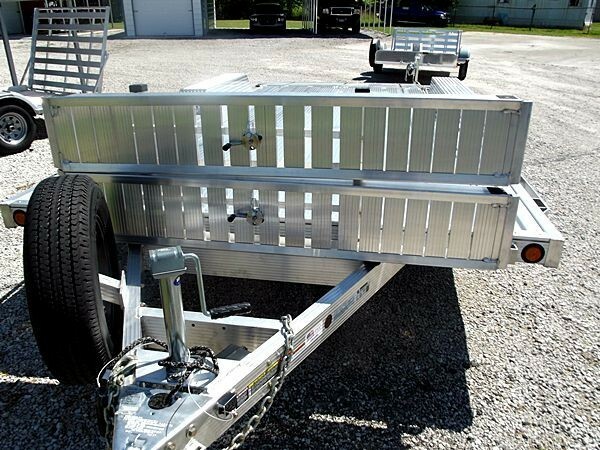 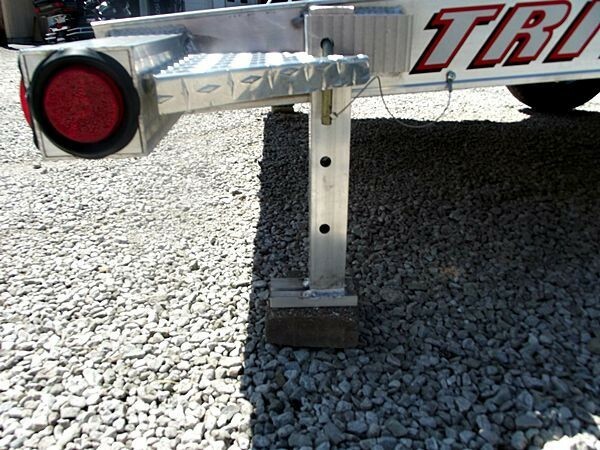 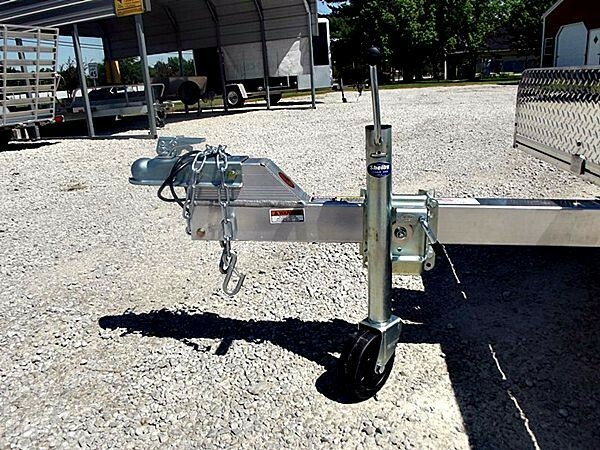 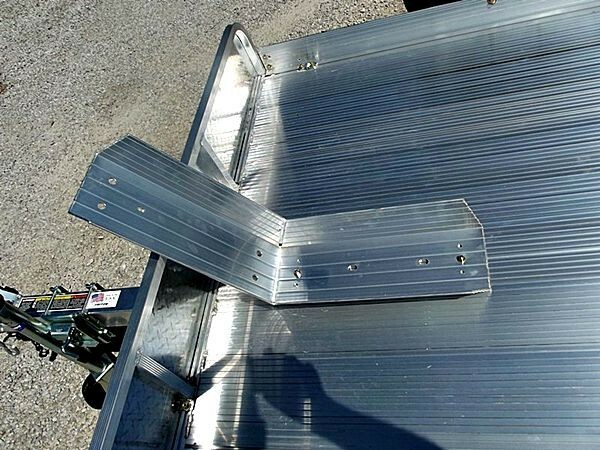 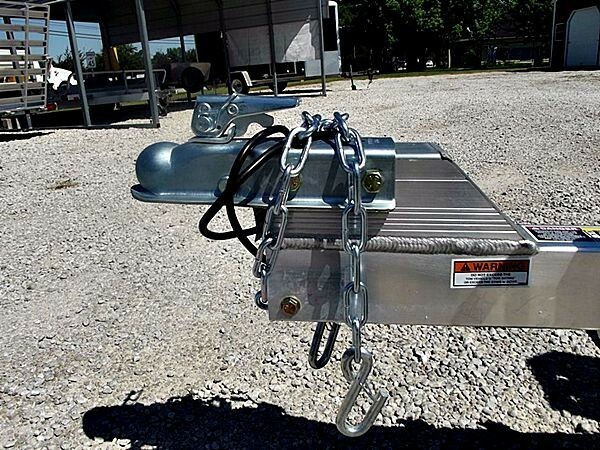 The a-frame tongue, low deck height, and full length 3/8" carriage bolt tiedown channels makes these trailers easy to load, tow, and versatile for all your hauling needs. 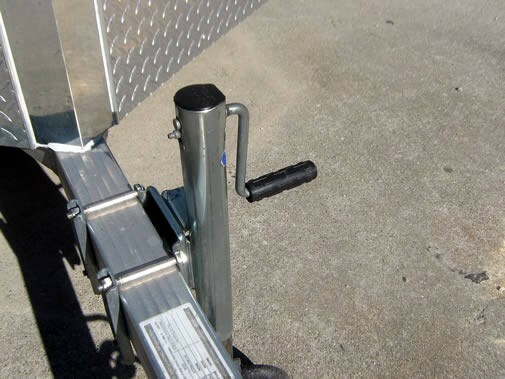 A good match for low clearance vehicles and other equipment or vehicles." 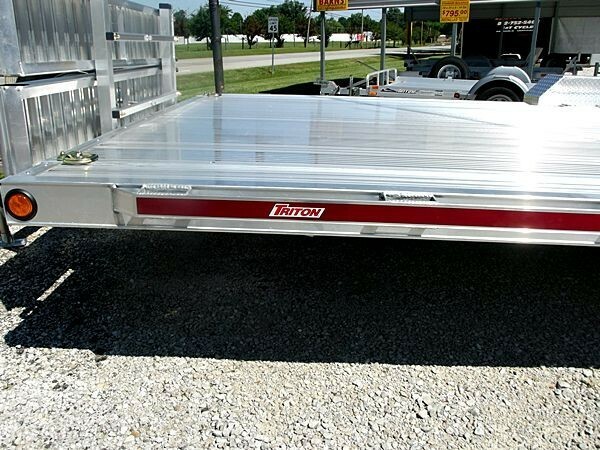 CALL US OR STOP BY TODAY FOR PRICING AND OTHER INFORMATION. 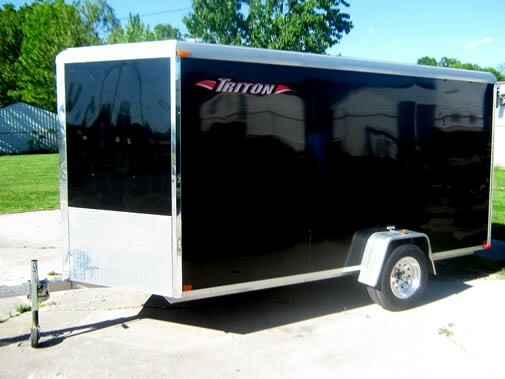 "Triton's AUT1064 trailers have both extruded aluminum frames and decks with a useable deck size of 10' long by 64" wide. 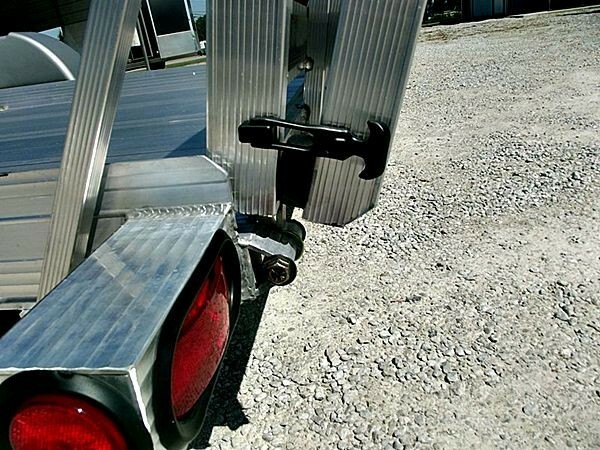 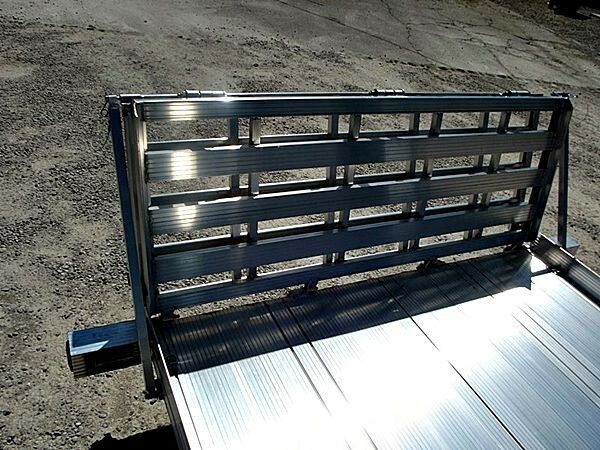 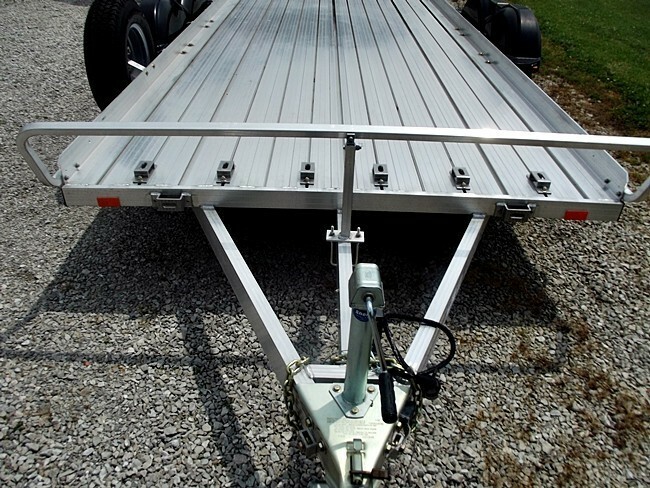 The dropped down tongue, lowered deck height, and full length carriage bolt tiedown channels makes these trailers easy to load, tow, and versatile for all your hauling needs. 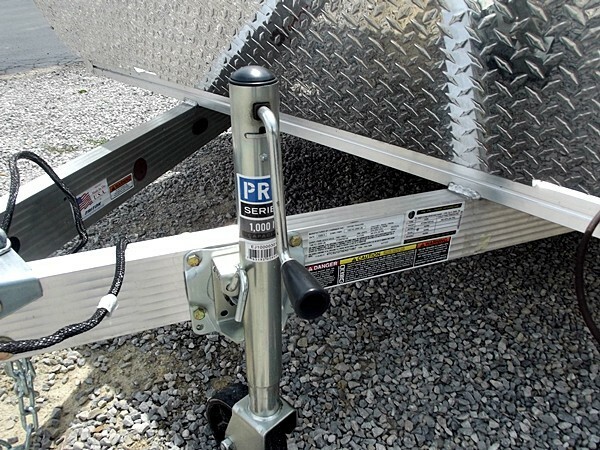 A good match for low clearance vehicles and other equipment. 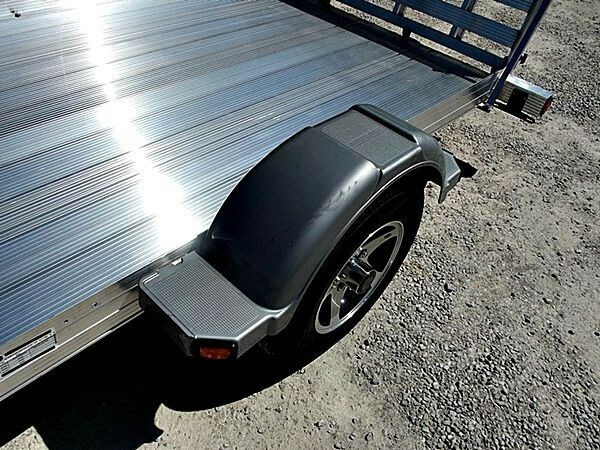 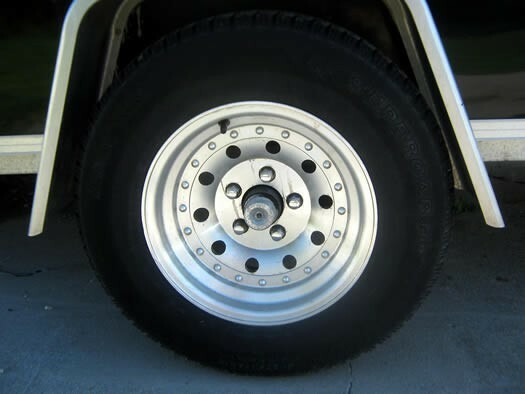 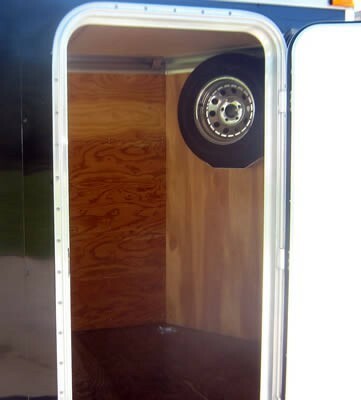 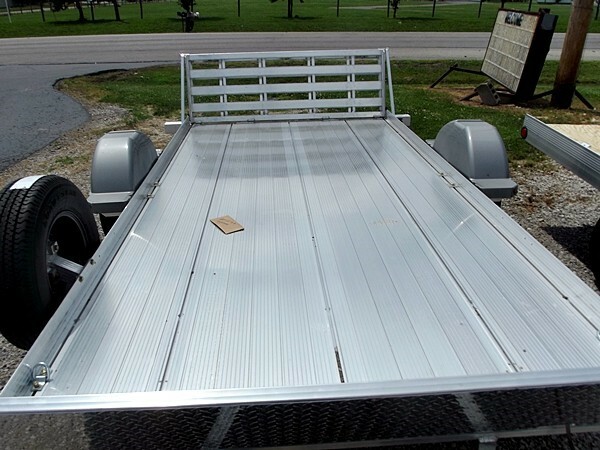 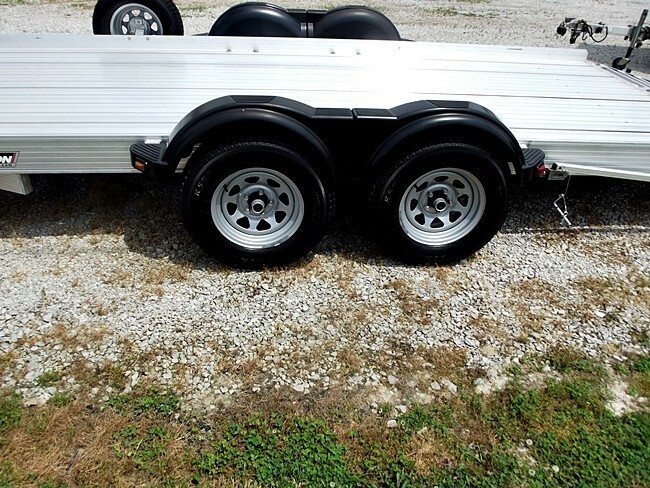 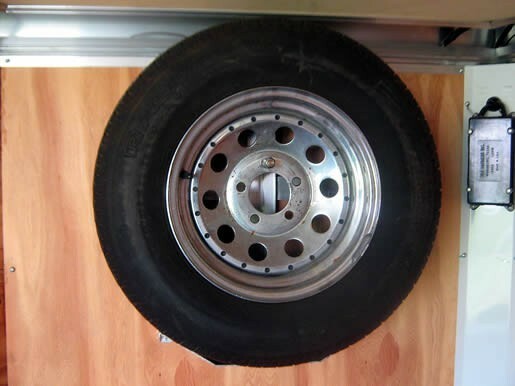 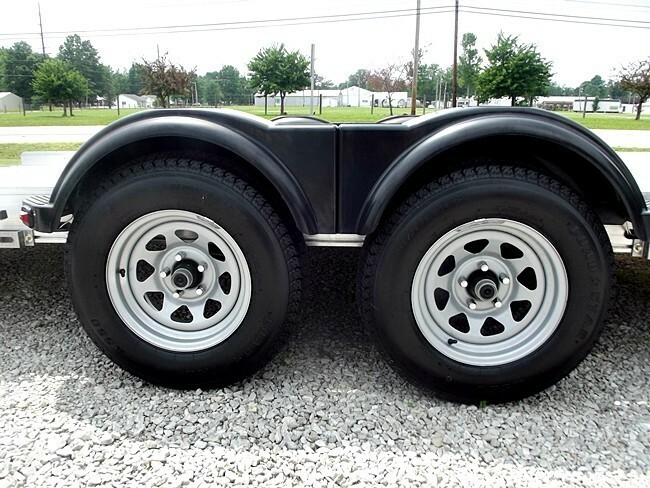 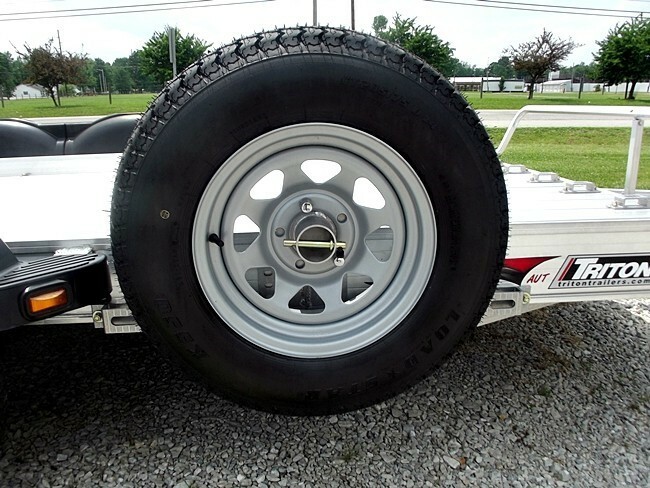 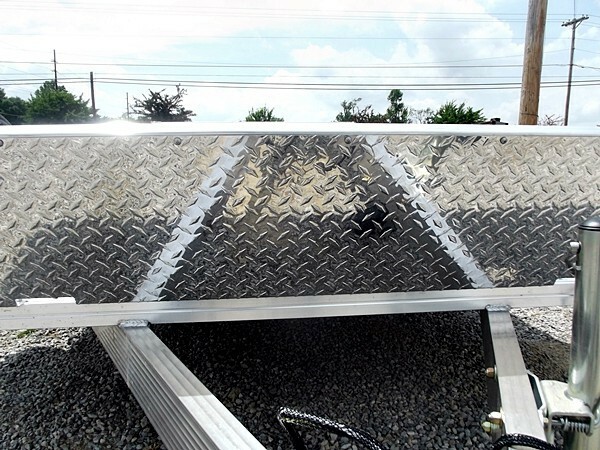 A wide selection of accessories makes the AUT1064 trailers customizable for hauling ATV's, lawn tractors, bikes, and more." 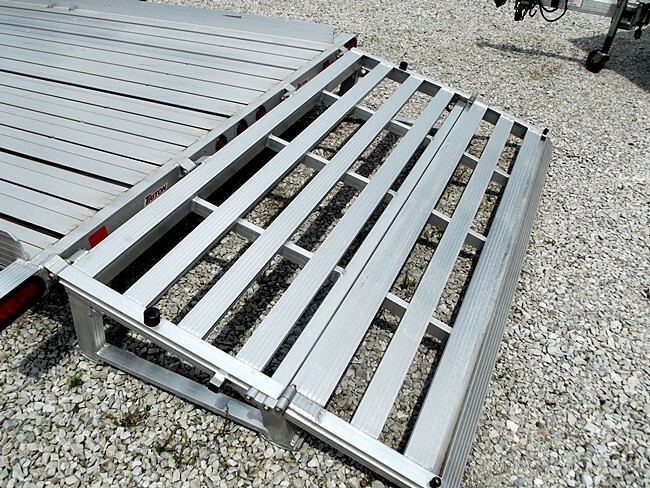 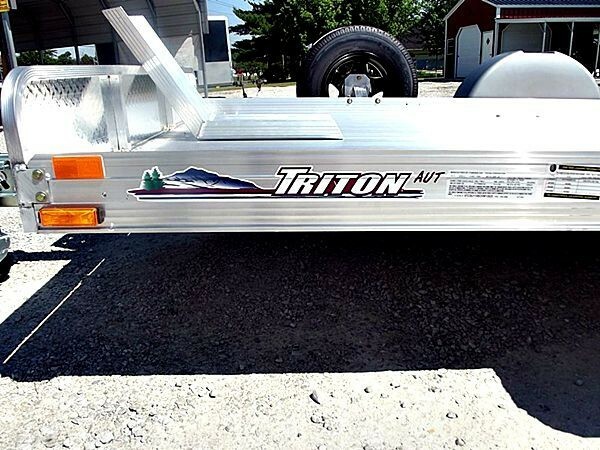 Triton's AUT1082 trailers have both extruded aluminum frames and decks with a useable deck size of 10' long by 82" wide. 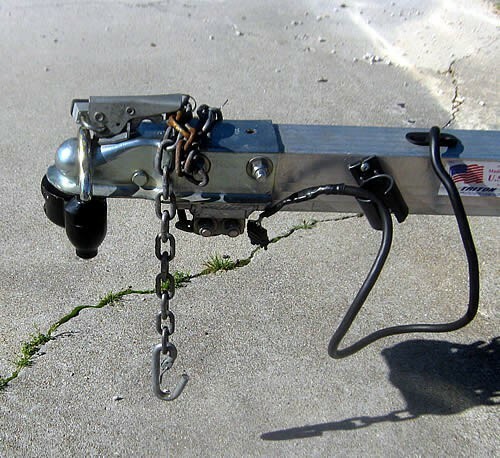 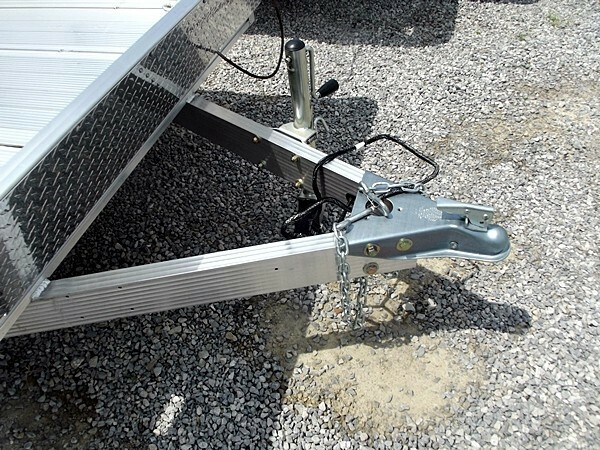 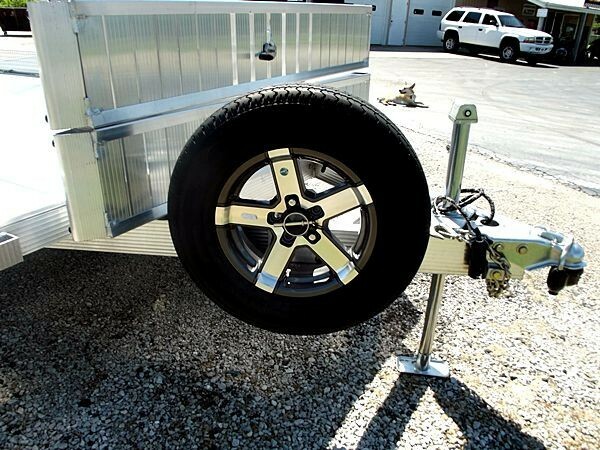 The dropped down tongue, lowered deck height, and full length carriage bolt tiedown channels makes these trailers easy to load, tow, and versatile for your hauling needs. 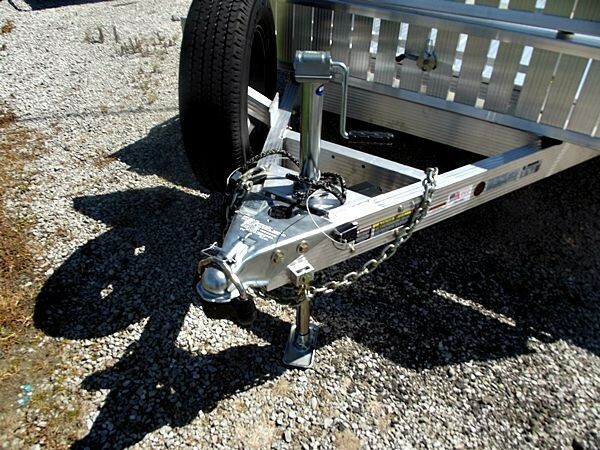 A good match for low clearance vehicles and other equipment.